If you have ever eaten at a Pizza Hut restaurant or seen a Pizza Hut menu, then you know about all of the great pastas, salads, and pizzas they offer. However, finding Pizza Hut locations near you can be tricky. Lucky for you, this 9 Pizza Hut Menu Knockoffs + 12 More Homemade Pizza Recipes compilation contains twenty-one homemade pizza recipes, pasta recipes, salad recipes, and breadstick recipes that taste like they came straight from the pizzeria's own oven. 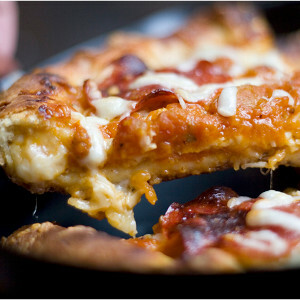 Homemade pizza is not only convenient, but is also an innovative and fun way to bond with your family. Try making homemade pizza tonight not only for a delicious meal, but for a fun, exciting night with your children. This collection is made up of popular dishes from the Pizza Hut menu, California Pizza Kitchen menu, and more to help you create the ultimate Italian meal. Choose any of the following homemade pizza recipes, pasta recipes, salad recipes, and breadstick recipes for an exciting and satisfying meal for you and your family. Like these recipes? 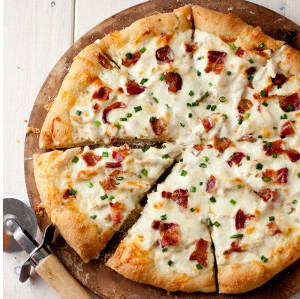 Then you'll love 11 Delicious Recipes for Your Next Pizza Party! The Pizza Hut menu contains some of the best Italian food for the lowest price. It is a great pizza restaurant for a quick, inexpensive family dinner or large group meal. However, Pizza Hut locations can sometimes be rather difficult to get to, which is why this compilation of homemade pizza, pasta, and breadstick recipes is so great. Now you can have that same great-tasting, inexpensive, pizza restaurant food in the convenience of your own home. What's better than pizza? Pizza in a roll! Check out this Homemade Totino's Pizza Rolls recipe for a unique take on your normal pizza recipe. The Pizza Hut menu is not the only pizza restaurant menu to feature delicious and reasonably priced Italian food. Pizza restaurants like the California Pizza Kitchen, Gino's East, and Papa John's also offer great-tasting pizza, pasta, and breadsticks. Like Pizza Hut locations, however, these restaurants can also be hard to find. So try making a delicious homemade pizza tonight using one of the great recipes below instead of making a restaurant run. 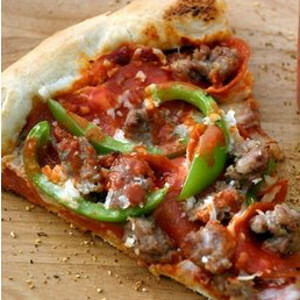 Try any of these homemade pizza recipes recipes for an unforgettable family meal.